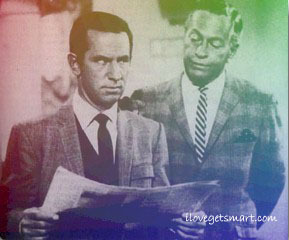 Get Smart FanFic, Scripts, and Stories Mailing List! Writers and Readers! Join our "Smart" story list! If you enjoy writing and reading literature about, Max, 99, and all of Smartdom, then this is the list for you! Presently, this list is being hosted by Yahoo Groups. If you would like to send a message to the list, the address is: gsfic@yahoogroups.com You do, however, have to be a member of the list to post. PLUS! This list is also available in digest form! You can also check out the list's Yahoo Groups page here: http://groups.yahoo.com/group/gsfic While the list in recent years hasn't been exactly active in recent years, there is quite a bit of fan fic stored in the list archives for anyone that would like to read it. Disclaimer: I reserve the right to amend and create guidelines as I deem necessary.